« one last small crochet….. Very cool. Love the colours! 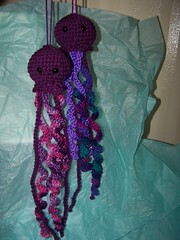 I love these I am hoping to do some very soon I think they are sooooo cute! Those are so fabulous… I want one!!! I like this very well 😉 It’s very cute !